Meaningful tattoo designs can be for anyone, it doesn’t matter if it’s for your partner, friends or parents especially your mother. Meaningful tattoos are great because it helps in expressing emotions and sentiments which otherwise can be very difficult to express. Sometimes it gets really difficult to tell your mom how much she means to you. But if you, yourself are a mother than this tattoo can be a way of expressing your love for your child without being too emotional. Tattoos are in the fashion for the longest time possible, it is a great mean to express yourself if you’re an introvert and don’t know how to convey your emotions in words. There are many symbols or designs which you can choose for your tattoo. The most popular symbols are heart, flower or infinity symbol. You can always choose a quote or song lyrics to describe how much your mother means to you and how important she’s in your life. You can choose any style or ink you want as long as you’re conveying your message right, that’s what meaningful tattoos are all about. Here is the list we’ve made to make it easier for you to choose the style you want. 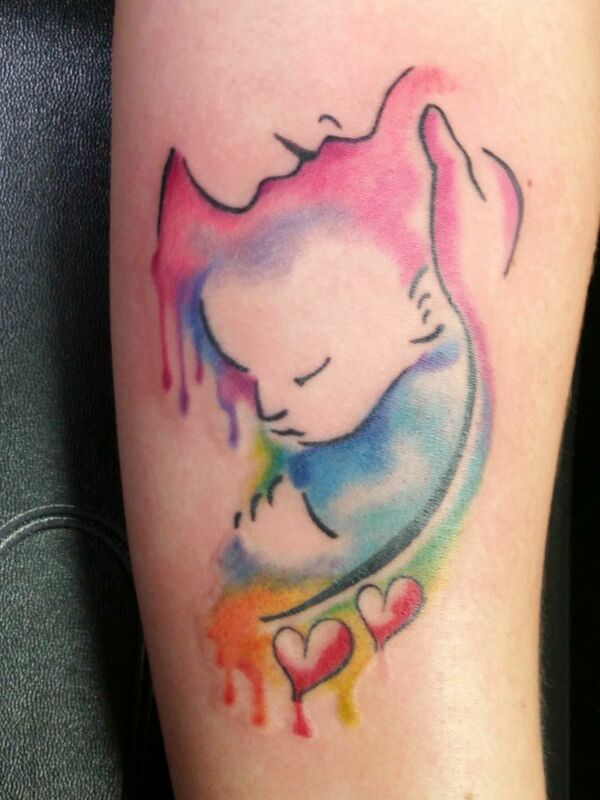 This tattoo is showing a mother kissing her newborn child inside a heart while the birth date is written outside it. This is a very beautiful tattoo with even more beautiful words. 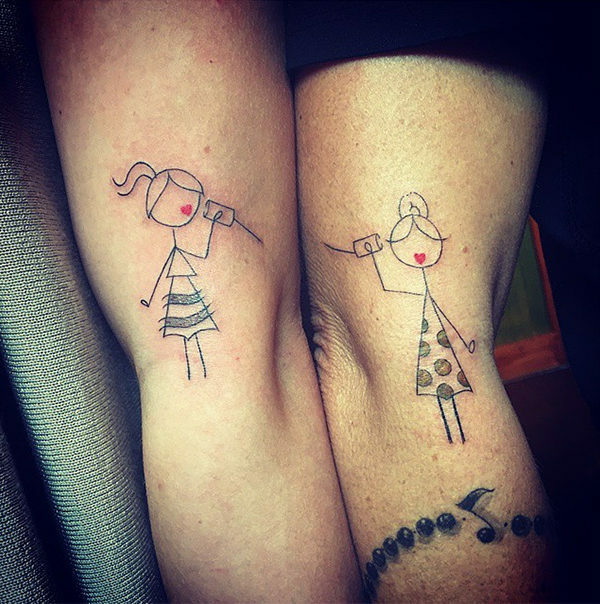 This tattoo symbolizes love and friendship between mother her daughter. A very simple yet very powerful tattoo to express how much you love your mom. 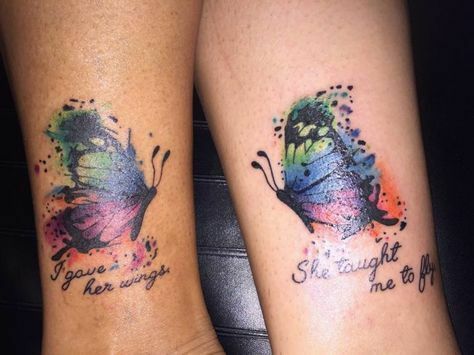 Matching tattoos for mother and daughters are extremely meaningful as it portrays how much they understand each other. Your mom will love this tattoo very much, it shows that you think your mom as a hero, powerful and strong. The simplest but most powerful tattoo. 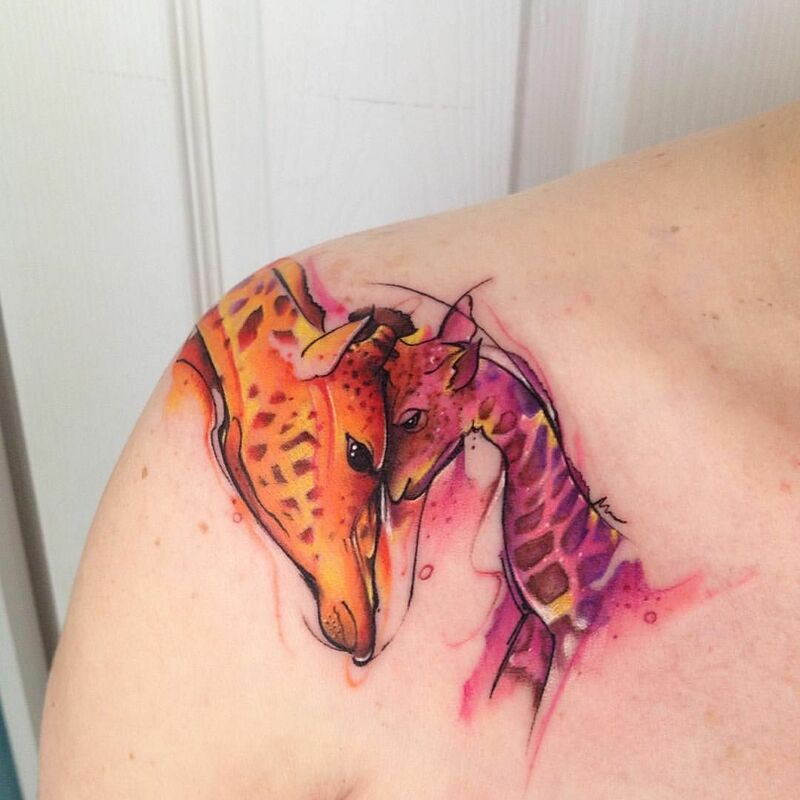 This colorful tattoo is very beautiful. This quote is one of the most beautiful quote ever for your mother. 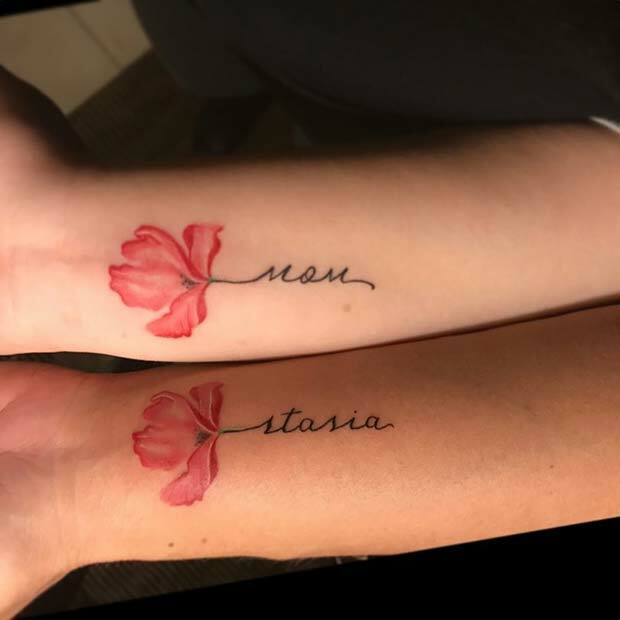 Good old flower tattoo for your mom and yourself. This tattoo is for all the animal lovers. It shows the love between mother and a child, even if it’s an animal. This tattoo is very tricky to get but once you get it, it’s going to be your most favorite tattoo. To every mother her child is an angel. This tattoo portrays the very sentiment. 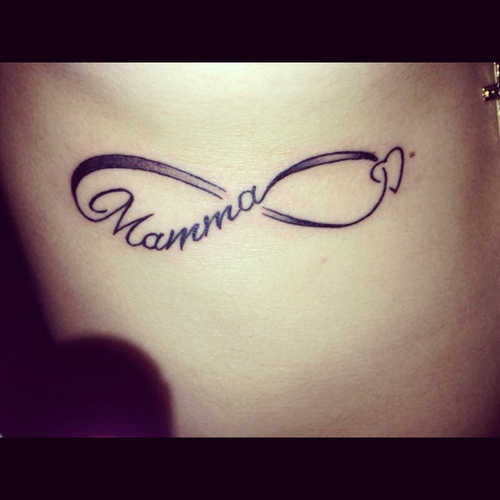 In this beautiful tattoo, the word mama is designed in such a way that it’s linked with infinity symbol. The heart and infinity symbols show that your love for your mother is eternal. So, this was the list of our chosen meaningful mother tattoos. It’s a versatile list for both mom and child. We hope you like our choices, do give us a feedback.